Dr. Kuldeep completed his M.B.B.S. from JIPMER, Pondicherry, Madras University, India and D. Orth. from the same institute. He holds a D.N.B.E (Orth) from National Board of Examinations, New Delhi India and M.S. Orthopaedics from University of Delhi, India as well as M.Ch. (Orth) from USAIM University of Seychelles. He has worked for 10 years as specialist orthopedic surgeon in the referral hospital for eastern province in Saudi Arabia. He was in charge of the independent orthopaedic unit with 5 resident doctors. He performed all major and minor surgeries in the orthopedic department. Medical and surgical treatment of infections of bones and joints. Arthroscopy of knee joint – Diagnostic and therapeutic. 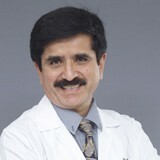 Dr. Kuldeep is well versed in English, Hindi and Punjabi.